L’arsenale, established in Treviso in 2005 by young musicians and composers under the art direction of Filippo Perocco, aims to fill the gap between composing and making music; between conceiving a sound and the gesture that will produce that sound; between the lifetime of a sound and the receiving space that will consume it. As confirmation of a perduring research devoted to New Music, the ensemble commits from the beginning to perform premieres and on demand works of young composers, promptly adapting its personnel each time. L’arsenale organises its own festival, L’arsenale_Nuova Musica a Treviso, that features concerts, seminars, master-classes and the composition course called Chiamata alle Musiche. It constantly proposes collaborations with international level ensembles, soloists and conductors like Neue Vocalsolisten Stuttgart, ensemble Argento, L’Imaginarie, ACME, Metropolis, Ecce, Latvian Radio Choir, ensemble Algoritmo, Edison Studio, Mario Caroli, Marco Angius, Zoltan Pesko, Michele Lomuto, Nadir Vassena, Kaspars Putninsh.? In 2011 and 2012 the ensemble received the Grant in Aid from Ernst von Siemens Foundation as support for its concerts activity. L’arsenale collaborates with many institutions and participates in many contemporary music festivals like the Venice Biennale, Mata Festival in New York, Festival Suggestioni, Ircam, Beams, Harvard University, Northestern University and Brandeis University of Boston, University of Minnesota, Contemporanea and Taukay in Udine, American Academy and Goethe Institute in Roma, Centro tedesco di studi veneziani, Kairos association-Camino al Tagliamento, Accademia Musicale Villa Ca’ Zenobio, Compositori a Confronto in Reggio Emilia, Cemat-Progetto Sonora, ArsPublica and many others. 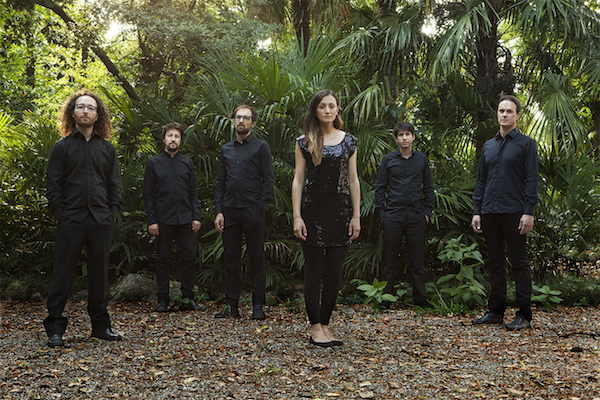 The ensemble performed in venues like Le Poisson Rouge and Bargemusic (New York), Slosberg Music Hall and Fenway Center (Boston), Hall de Chars (Strasbourg), Fergusson Hall (Minneapolis), Teatro alle Tese, Teatro Malibran, Piccolo Arsenale and Sala delle Colonne (Venice), Teatro delle Passioni (Modena), La Goldonetta (Livorno), Teatro San Giorgio (Udine), Teatro delle Voci and Teatro Eden (Treviso).